High quality coffee such as JBM and JHM brands are even more delicate than most of the other coffee we consume on a daily basis. Green bean coffee absorbs the aroma of other products that it shares the same storage space with. Moisture imbalance (either too moist or too dry) owing to the ambient relative humidity, packaging and storage. Change in taste as it becomes more exposed to other scents. Diminished aroma that is characteristic with freshly hulled and polished green beans. Shrinkage of the beans. Possibly going from a 18 or 17 screen size to possibly a 16 or 15 screen depending on the length and method of storage. For these and other operational reasons are why we ship our coffee exclusively by air to all our clients all over the world. Like picking up a freshly baked loaf of bread at your local bakery, we are your trusted freshly milled green coffee beans source. Cost wise, the lengthier sea freight might therefore work out to be better for full 20 or 40 ft. containers. However, as there are other items being shipped in the same vessel, the possibility exists for the beans to pick up a hint of some of the other cargo’s scent. To the average coffee lovers this is not noticeable. To the true connoisseurs however, this could be the make or break for you as purveyors of arguably the world’s finest coffee. Airfreight on the other hand, is much speedier. Therefore the contact time with other products sharing the same holding space is substantially reduced. This method of freighting helps to bring the possibility of the delicate JBM Green Bean Coffee picking up off flavours to almost zero. Furthermore, your coffee goes directly to your door from the airport. Not to us. Hence, we are 100% committed to airfreighting all our JBM Green Bean Coffee to you. Always. We bring you the freshest and the best of the best JBM Green Bean Coffee always. To achieve this feat, we operate exclusively on a JIT basis. This approach is indeed extremely challenging dealing with members of the value-delivery chain who are not fully appreciative of delivering on time. We have been able to work around these challenges primarily because of our unique management team combination. We will always listen to your needs and work accordingly with you and the value-delivery team in Jamaica to meet your needs. We provide the best quality JBM Green Bean Coffee. We provide the freshest JBM Green Bean Coffee. We carry a very very small holding stock. We are always in the know with all the developments and can project changes before they become common knowledge. We provide JBM Green Bean Coffee exclusively from single farms (not estate). We import all our JBM Green Bean Coffee exclusively by air. We trade only JBM Green Bean Coffee. 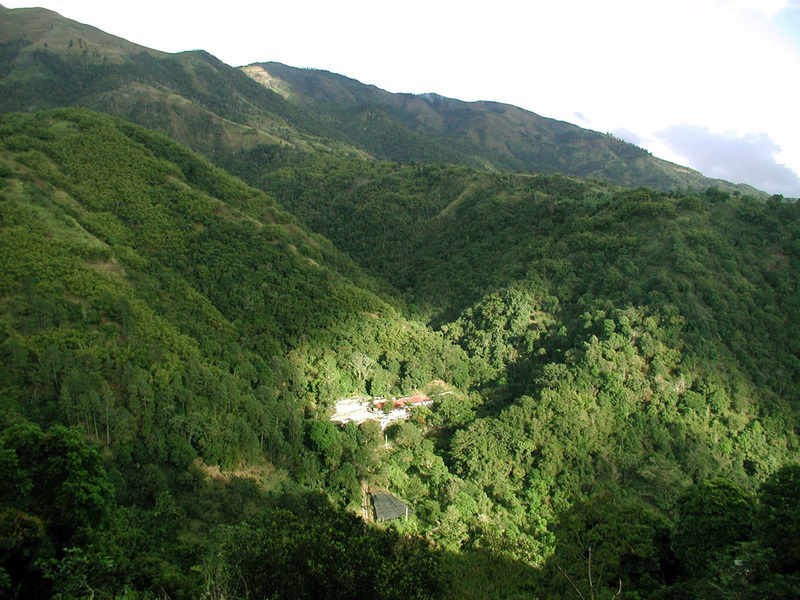 Jamaica High Mountain® (JHM) Coffee is provided on demand only and only after we are satisfied that our clients is never going to misrepresent it as JBM Green Bean Coffee. As in e. above, JBM Green Bean Coffee Select Grade is provided on demand only and only after we are satisfied that our clients is never going to misrepresent it as JBM Green Bean Coffee No.1 Grade). We purchase from coffee farms at the highest altitudes in the geographically demarcated Blue Mountain Coffee growing region. These beans mature slowly and hence develop a fuller body, more complex and yield the finest cup without fail. Our pricing is very transparent and fair. We operate on the lowest margins in the industry. We work with our suppliers in Jamaica (the farmers) to get you the lowest possible price that is also very fair and conscientious to the farmers so that they can continue to produce coffee that is of the highest standards for the foreseeable future. We carry a minuscular small holding stocks to meet the needs of our smaller clients’ needs. We do not use any intermediaries. The volume of coffee produced in the extremely tiny specified Blue Mountain Coffee growing region is very small in comparison to other coffee exporting countries. The volume at the higher altitudes, from where we source all our green beans, is even much much fewer. And needless to say, very highly sought after. These are like the finest grapes which are used to make each delectable bottle of Dom Pérignon or the most exclusive Goût de Diamants Champagne. This is why we work closely and continuously with you to determine your JBM Green Bean Coffee needs prior to start of the next crop-year, and hence secure your desired quantities. Throughout the entire process of working with you to determine your projected needs for the following year, we keep everyone at the other end of the value-delivery chain fully abreast and engaged. Owing to the point of origin of our beans (the highest altitudes) supplies begins late April at the earliest and ends in early October at the latest each year. We believe each importer has a vital role to play and have been doing commendably so long before we entered the market. We coexist with our esteemed fellow importers of Jamaica Coffee because we work to supply our niches to the best of our ability. Our relatively small size makes us very nimble and our single product puts us in good stead with all our existing clients and indeed you our future strategic partners. We relate to your needs and work with you to satisfy them to the best of our abilities being honest and open with you at all times. Our commitment to bringing you the freshest and the least exposed beans to you knows no boundaries. We pull out all the stops to cut out all the unnecessary intermediaries. Cons: You need to project your needs for the next crop-year. Pros: Carry a large holding stock.